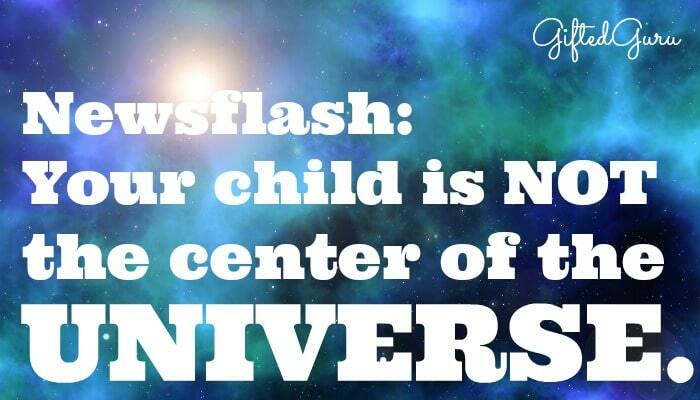 This may come as a surprise, but your child is not the center of the universe. Your child, is, in fact, not even special. I’m ducking right now, but please, hear me out. Special means “better, greater, or otherwise different from what is usual.” If everyone feels this way about their child, it is impossible for that to be true. If everyone is special, then by this definition, no one is. Because raising kids on a diet of “You’re so beautiful, smart, special, talented, and basically the most amazing thing ever” leads to an abundance of arrogance that has reached epidemic proportions. Ironically, it doesn’t even make kids feel better about themselves. It makes us feel better about ourselves. At the root of this praise epidemic is the fear that we are not the parents we wish we were, and we try to make up for any perceived lack on our part by showering children with a plethora of praise. A few decades ago, parents didn’t shoulder nearly the responsibility for making every moment of a child’s life Pinterest-worthy, and I think this burden is part of what’s creating the Heap o’ Praise method of parenting. It creates youth who can’t take control of their own lives because they are paralyzed by delusions of grandeur. No college is good enough. No job is good enough. They’d rather do nothing (other than play) than do something they feel is beneath them.They think that when something goes wrong for them, it is someone else’s responsibility. Logical consequences are merely something from which to be protected. 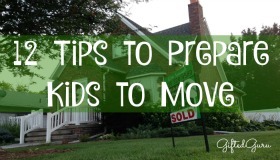 It leads to parents’ having unreasonable expectations of other adults who come into contact with their kids because those other adults simply don’t appreciate how amazing these kids are. This causes contention with other family members and friends who think that there should be, as Cesar Millan says, “rules, boundaries, and limitations.” Look, I know he was talking about dogs, but hey, it works. As a former high school teacher and administrator, I can tell you from observational experience that this attitude (“My kid is so amazing”) is at least as harmful as the opposite – telling kids they’re worthless. I’ll explain later why I think they’re almost the same thing. 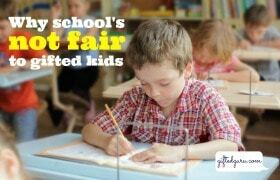 It leads to dissatisfaction with schools, especially on the part of parents of cognitively gifted kids. “You can’t possibly meet my child’s needs, Stupid School, because you simply have no idea how incredibly smart this child is and how incredibly boring being around all of these other people is.” Hold on. I need to count to ten. Just ignore the fact that most incredibly gifted individuals did attend school for a moment and focus on the fact that school was not designed for your child. It was designed for all children. Schools do their best, but if you really, really want an individualized experience, that’s not called school – that’s called home. Feel free to teach there. I did for awhile. Children begin to silently add the phrase, “And that’s why I love you” to the parents’ praise. As in, “You’re so good at sports (and that’s why I love you).” This is problematic because children begin to fear that if they don’t perform (getting terrific grades and test scores, being just so lovely, scoring goals, etc. ), they will lose their parents’ love. This is the very opposite of the message the parent is hoping to send. It leads to what I call “Nellie Oleson Syndrome.” You remember Nellie from Little House on the Prairie, right? No one, and I mean no one, liked Nellie Oleson. She’s mean. She’s arrogant. She’s the rain on everyone’s parade. And it’s her mother’s fault. There is a group of parents out there (larger than I like to think about for any length of time) bent on creating a race of Nellies. They buy their children everything, have few or no expectations of them, require no manners from them, and then complain when people don’t like them. Clearly it’s the other person’s fault. Some parents even brag about their kids’ inability to get along with others, seeing it as proof of the child’s superiority. Look, Nellie’s mom, I don’t care if you have white sugar on your birthday cake. I’m not coming to the party. Why do I think praising kids for things over which they have no control like intelligence and beauty is just as damaging as telling them they are worthless? Because it creates a dynamic in which we make children dependent upon us for their self-esteem and self-awareness. This is emotionally detrimental. What is my value? Whatever you tell me it is. It gives parents too much power in the formation of the child’s ego (in the technical sense). Children no longer see themselves accurately. They need other people to tell them who they are. Parents become mirrors, not coaches and guides. This leads to inappropriate relationships as they seek the same level of approval from others as they get from their parents, getting them into serious trouble because they will not find that anywhere. This is the very same thing that happens when children feel worthless. The research is clear: praising kids for being just so wonderful backfires. Carol Dweck, if sanity ever returns to parenting, we’ll have you thank. And that, my friends, is way more effective parenting than, “You’re so beautiful” ever dreamed of being. So read Nurture Shock by Po Bronson and Ashley Merriman. No really. Read it. Read it before you single-handedly bring on the end of civilization as we know it, one Nellie Oleson at a time. I love, love, LOVE this article and agree with it 100%!